Ever since I watched the famous ‘staircase’ scene from the movie ‘The Little Colonel’ featuring Bill ‘Bojangles’ Robinson and Shirley Temple, I have wanted a pair of shiny, black brogues to call my own. 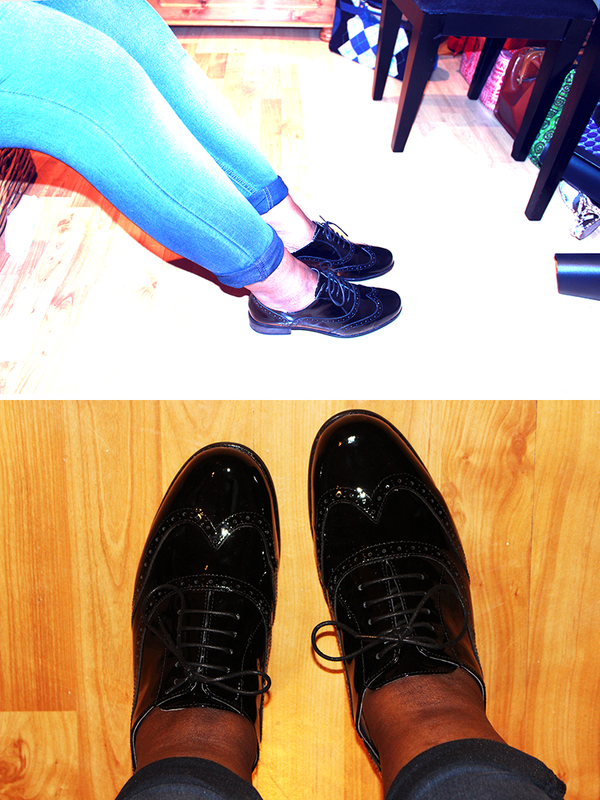 Even though brogues aren’t exactly tap shoes, they are close enough to what I wanted and I’ve finally been able to procure a pair; excitement! 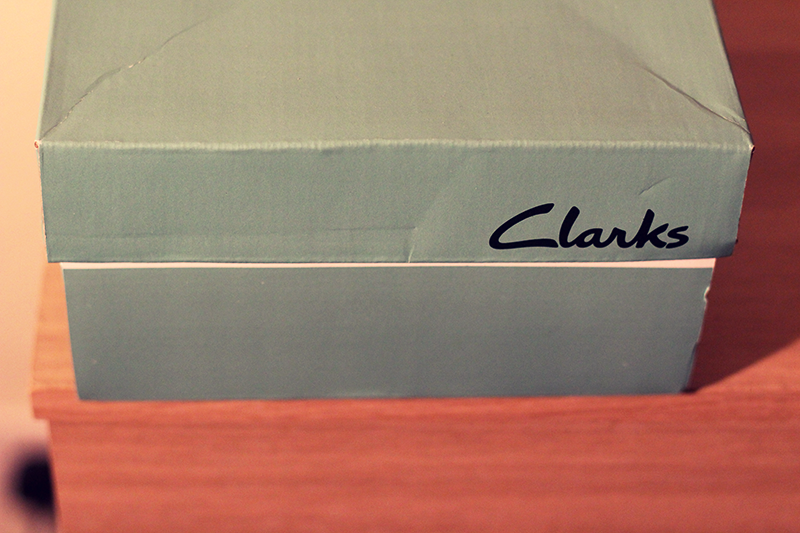 These are my first pair of shoes from Clarks* and I must say that they are exceptionally comfortable! 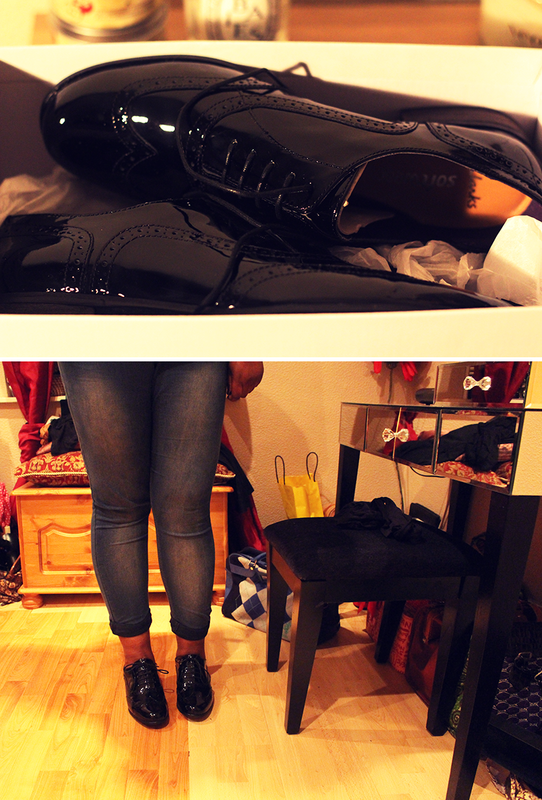 Previously, I had never been able to purchase brogue shoes as they normally were sold in standard sizes at most stores. With Clarks however, there was the option to get the shoes in either a standard or a wide fit. The outer material is black patent leather with a classic punched detailing and it has a slight heel of about 3/4 of an inch. The interior of the shoe includes a ‘Soft wear’ cushion on the foot bed to ensure comfort throughout the whole day. It didn’t take long for me to break in the shoes so this was a big plus for me.